James Cameron was first to register the title Avatar. 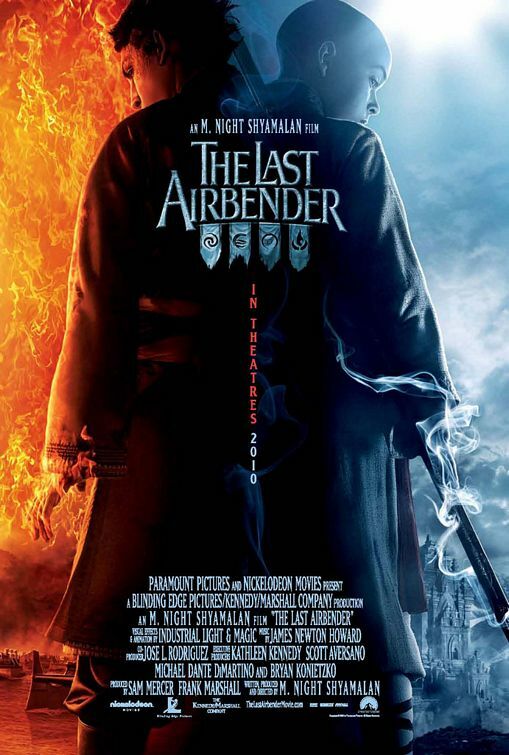 So, Nickelodeon took the title The Last Airbender instead. This movie was full of expectations from the millions of fans who liked the animated series. Did it gave justice to the cartoon or is it another movie adaptation failure? Read on. The movie was shown earlier this July at the United States and a mix of glee and hate circulated around the interwebs. Even though there were a majority of negative criticism about this film, as a fan, I still chose to watch it. The film, from the perspective of a fan, was good, if it weren't for the disaster of a cast. Don't get me wrong here, the Fire Nation supposed to be possess Chinese like traits, but in the movie, they were Indians, no not American Indians, but Indians who had beaten us on the outsourcing and call center field. Noah Ringer could pass as Aang ,the main protagonist. But Nicola Peltz as Katara, Jackson Rathbone as Sokka and Dev Patel as Zuko, gave me a facepalm and a headache. Seriously. the casting was way off. It's like casting Kim Chiu as Alias or Bong Revilla Jr. as Captain America. The casting totally made me lost concentration on the film. Next was supposed to be the "3D experience" of the film, even though we haven't watch it on 3D, I think it would be useless anyway. There were not enough "bending" and action to fully use the 3D experience. The only part of the film that looks good on 3D was the last action sequence, which is kinda lame, but the special effects were good. The sound and music was good and the story sticked to the cartoons even though audience who are new to the series will be confused due to the lack of explanations. If it weren't for the poor casting and bad acting, I would have recommended this movie to all my friends and acquaintances. But, alas, it was a nightmare. If Nick could not make this straight in the upcoming sequel (Book Two: Earth), a recast or just kill M. Night Shyamalan, then The Last Airbender will surely lose it fans who sticked to the animated series despite the delays and issues.